The information had been posted on Reddit by a Google engineer, and according to a report, Google is also expected to bring the dark mode on Chrome for MacOS. Google Chrome on Windows 10 doesn’t have a native dark mode even though the platform already supports dark mode for apps like Microsoft Edge and Firefox. This may change soon because one of the engineers at Google has posted a message on Reddit saying that the company is working on the mode. The engineer says that till the company is developing the mode, it is advised to use the dark theme for Google’s web browser. The development comes almost a month after it was reported that Google is also working to bring the dark mode to MacOS Mojave. According to Peter Kasting (via Techdows), “For desktop, native dark mode support is in progress, in the meantime, we generally suggest people use the dark theme.” Google Chrome comes with a default light theme and supports a dark theme in Incognito mode. Dark theme has been the talk of the town lately. 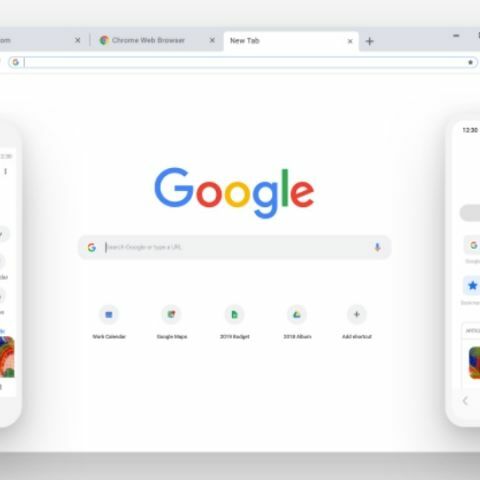 Established web browsers like Firefox and the recently launched Xiaomi Mint lightweight browser are now focussing on bringing the dark mode to their UI. It's the same case with other apps too. For example, Google’s own YouTube now supports dark mode and WhatsApp too could soon feature it. Windows 10 already supports dark mode and Apple launched the new MacOS Mojave with the Dark Mode as its USP. Last year at Android Dev Summit 2018, Google highlighted the importance of dark mode and dark themes on Android. The company shared some data on the subject showcasing the difference between the power drawn from battery while using light and dark modes respectively. In Android Pie, there is an option to select a Dark theme that turns the quick settings and the Google Feed dark, but it is not a system-wide implementation.